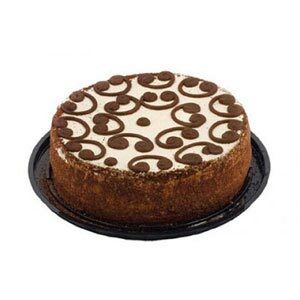 This cake will be garnished on top with fresh cream, chocolate pieces, sugar syrup and fresh fruit pieces on top. The designing using all the toppings may vary a little from the image shown. 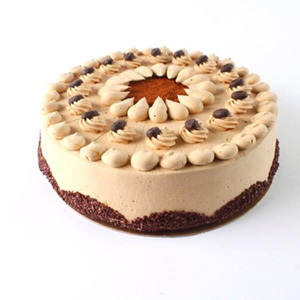 Want an ultimate cake for the special one? 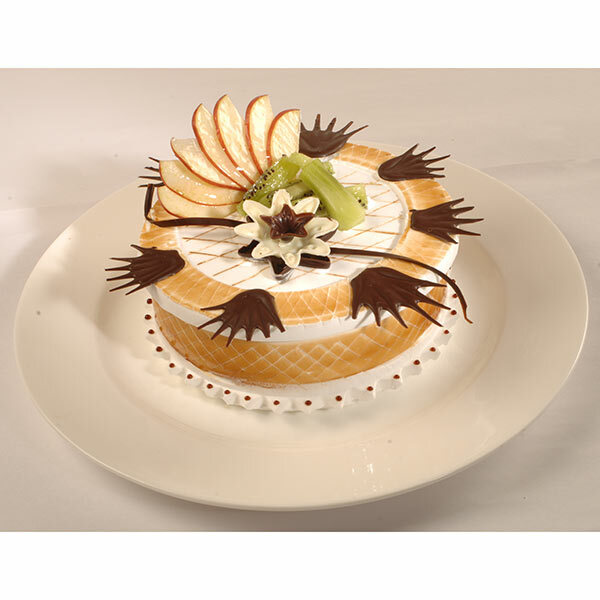 Choose this beautifully decorated Vanilla Cake that is topped with colorful fresh fruits, chocolate chips as well as sweet sugar syrup too, which makes it an ultimate sweet treat for cheerful occasions. As a Birthday cake or anniversary cake it’s an ultimate gift selection. So, without any wait hurry to place your order now. 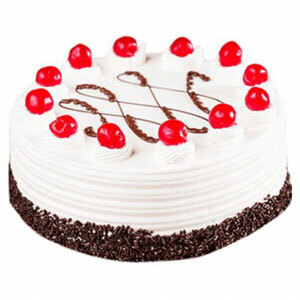 Beside the bread base and creamy topping the key ingredients of this cake are flour, powdered sugar, baking powder, liquid chocolate, eggs, chocolate pieces, fresh fruit pieces and more. 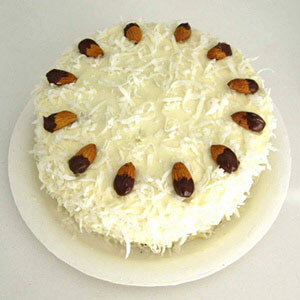 You can also opt for eggless version of this cake to enjoy during special moments of merriment.